The Race Cats Elementary School Program is designed to introduce elementary-aged kids of all experience and ability to the empowering and life-enriching practice of long-distance running through a positive experience that emphasizes FUN and rewards effort, attitude, and personal bests. Practice is held twice a week on your child's school field or at a nearby park for one hour. Children are praised for effort and improvement. Each team has their own jersey color and comes to two races with other Race Cats teams in their city. The third race of the season is our Race Cats Championships, where all Race Cats teams from across the Wasatch front are invited to race together in Salt Lake City on November 3, 2018. "As a child, I tried everything from dance, tennis, soccer, gymnastics, ballet, swimming, and basketball. Nothing really stuck. I either never fell in love with the sport, or was cut from team. It wasn't until my junior year in high school when I finally found distance running and fell in love with it. After a quick learning curve, I ran well enough my Senior year to run collegiality and went on to become a 2-time All-American and run on 3 National Championship cross country teams at BYU. After college, I raced competitively on and off in between pregnancies and busy life stages. Through all the chaos and challenges in my life, running has always been a constant source of peace and joy. Running has provided me with deep friendships, emotional therapy, personal meditation, confidence, and empowerment more than I ever imagined. My vision for Race Cats is to facilitate opportunities for youth to discover running at a younger age than I did. I've designed the Race Cats program to be fun and positive so we can ignite a love of exercise in young children. I want them to experience the positive physical and mental benefits, confidence, joy, and life-long friendships that running provides. I hope these kids will fall in love with a sport they can do for the rest of their lives. I look forward to cheering on your child!" "I started running in 8th grade. It started out as a social thing--my friends were doing it. At my first race, I got last place! That didn't sit well with me and I kept at it and was running varsity at the high school by 9th grade. I then went on to run at BYU and was a member of 2 National Champion Cross Country teams. I've run competitively ever since (in between babies and injuries). I love running because no matter what your ability level is, you can always improve and there is a place for EVERYBODY. Everyone on a team contributes in their own way. Running is a great way to learn the values of hard work, persistence, teamwork, and having fun. I have been on many teams where there is a lot of positive energy (synergy!) and I'm excited to bring that to Race Cats! I believe that I was blessed with a few of the BEST coaches in the nation. Both in High School (Roger Buhrley) and in college (Patrick Shane). I'm really looking forward to paying it forward with these awesome kids in Davis County." "I started running my sophomore year of high school in Honolulu, Hawaii because my friends were doing it. I shocked my parents and myself when I did really well in a few of my first races (we soon upgraded my Keds for some Nikes). I had always been super shy but running gave me a new sense of confidence that carried into all areas of my life. I loved working hard and seeing myself improve. I also loved being a part of and helping my team. I walked on to the BYU Cross Country and Track teams, but quickly found that my faster teammates helped me improve. While at BYU, I ran faster than I ever dreamed possible, I was an Academic All-American, and was lucky enough to be a part of the 1997 Cross Country National Champion team. While I had some success during my collegiate career, as I look back it was the many heartbreaks and disappointments that actually taught and benefited me most. Today, I am a mom of 4 little boys and I often say I am now running for sanity. I often run in the early mornings before they wake up but I also love to run while pushing them in my triple or quadruple running strollers. Running makes my every day better. Running has made me better. 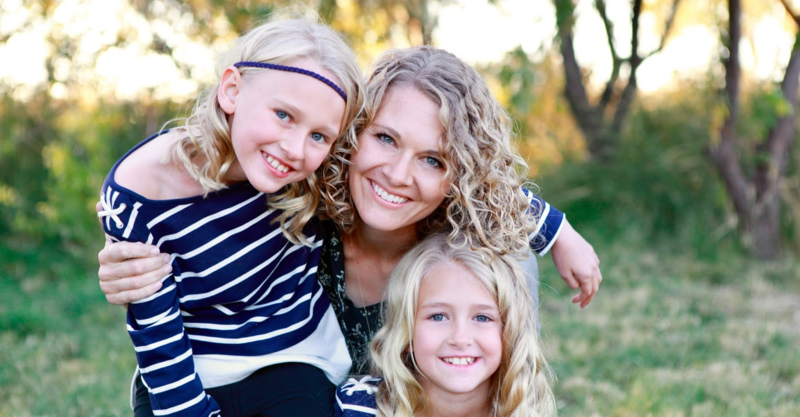 I look forward to sharing my passion and love of running with your children." 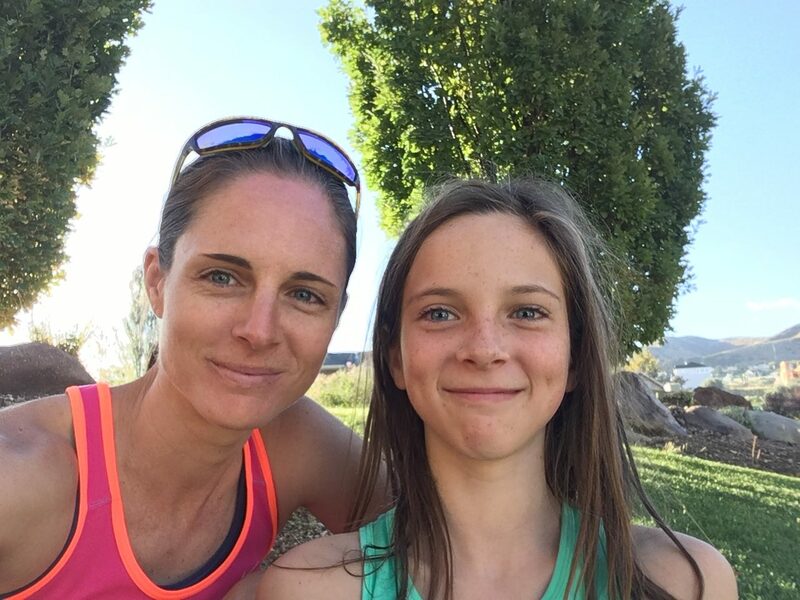 Emily and Teren Jameson are pleased and excited to be coaching a Race Cats team in the Taylorsville/West Jordan area. 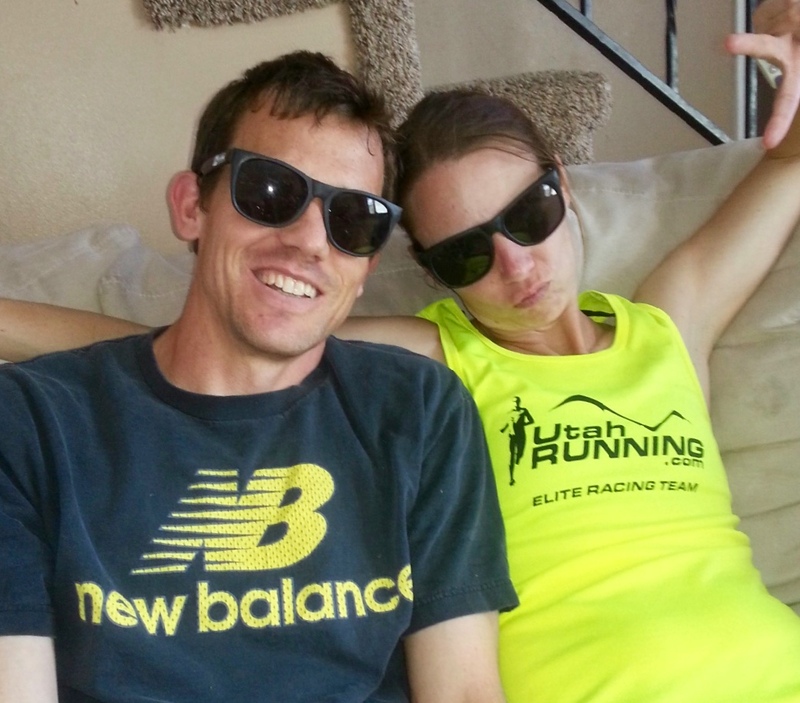 They bring a vast amount of experience as former youth, collegiate, and professional runners. Emily developed her running talents through age-group track and cross country, starting at the young age of nine. She is a former 2 x national champion in the 3000 meters, and a former runner-up in the 1500 meters. She benefited from her early racing experience in high school as a 10 x state champion in Montana, former Footlocker finalist, and 2 x Gatorade Athlete of the Year. 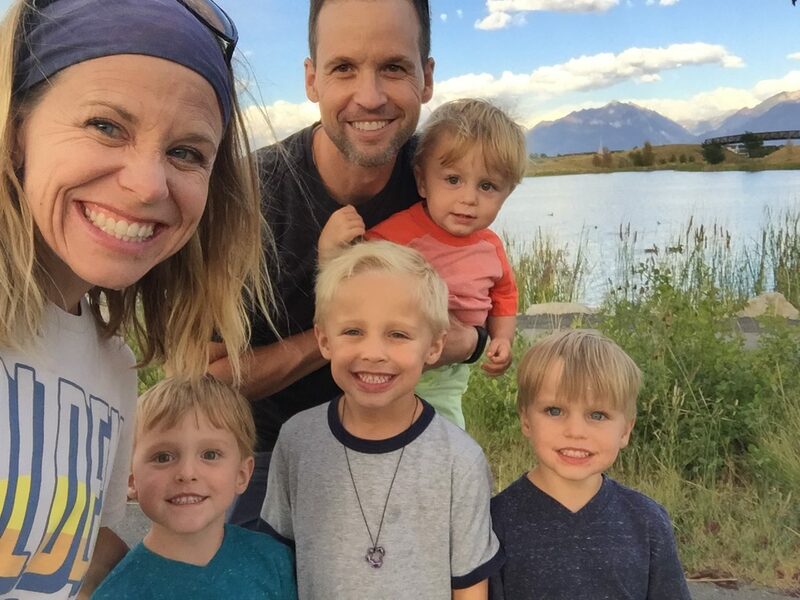 She competed for Brigham Young University, where she was a 3 x All-American in the 10,000 and 5000 meter runs, and a member of the 1997 NCAA National Championship team. After college, she continued her running career, running for New Balance, and running for Team USA on four separate occasions. She served as an assistant coach for East High School's cross country team from 2007-2013. She is the current secretary for USA Track and Field in the state of Utah. Teren began running at the age of 12, also rising through the youth ranks. He was runner-up in the 1600 at the Utah State Championships, as well as second place in the Great-Southwest track invitational. He still holds the school record in the mile at Taylorsville High School, where his jersey has been retired. After high school, he chose to run for the University of Utah, where he was a 2 x All-American in cross country, Mountain West Conference cross country champion, and NCAA qualifier in the 10,000 meter run. He continued to improve after college, running professionally for New Balance. He qualified for the Olympic Trials in 2004 in the 10,000 meter run, and in 2008 in the marathon. He ran for Team USA three times, and placed in the top five on multiple occasions in USA national championship road races. 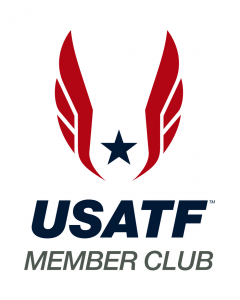 He has helped out with the Race Cats Elite team in cross country and track, and will be working with the USA Track and Field Long Distance Running committee in Utah this coming year. Both Teren and Emily have completed background checks, and Safe Sport training, and look forward to completing Level 1 Coaching training in the near future. Teren and Emily have four children: Cole (11) Lily(8), Myles (5) and Cali (2). Both Cole and Lily run for Race Cats Elite, and were national qualifiers in track and cross country. 5-6 year olds (born in 2012-2013) will race a 1K (.62 mile). Coaches do not need to be experienced runners or even parents at the school. Just willing adults who enjoy kids and who can follow a lesson plan and encourage an energetic group of kids. We will provide coaches with a daily lesson plan, coaching kit with supplies for lesson activities, and a small stipend. Coaches can also get one of their own children registered for free! If you are interested in leading a team at your school, please contact the Race Cats Director for your city.